For each of the Sundays of Advent, a leaflet is available in parishes which contains a line of scripture from each of the daily readings. People are invited to take a copy as maybe an opportunity to take a short moment, at home or at work, each day during Advent to reflect. Once again the Adult Faith Development group has prepared a number of different programmes to download for use in parishes during Advent. These items re intended as resources for parishes and can be used in a variety of ways: you might decide to gather a group or groups to use them; you might like to try promote them from the church some Sunday and offer them for sale; or you might encourage parents of children preparing to celebrate the sacraments to use them for themselves. In celebrating the Year of Consecrated Life in the Diocese of Ossory it is an opportunity for the Bishop, the priests and the lay faithful in our diocese, to acknowledge and show our appreciation, for the wonderful contribution Religious have made over many years, and indeed, continue to make in the life of our diocese. Concluding with Mass of Thanksgiving which will take place in St Mary’s Cathedral at 5.30pm. St Kieran’s College will host a display area where information on all Institutes and Orders of Consecrated Life in our diocese and their individual charisms will be displayed. Drop in to say hello to the religious serving in Ossory. Sean McDonagh is a Columban father and was an advisor on the recent Papal Encyclical Laudato Si’. The Papacy of Francis has attracted the attention, and captured the imagination, not only of Catholics but also of the wider world. His words, spoken clearly and simply, seem to offer hope to a world in need of it. Searching for a common theme or thread around which his papacy can be understood is not a difficult task. The Mercy of God and a resulting merciful Church is at the heart of his faith and teachings. Through this series of talks the Ossory Faith Development group hope to explore this important topic and how it is to be lived/experienced in our Church today. To help encourage and support people in praying and reflecting on the scriptures AFD have once again put together the daily reflection sheet which have been distributed to parishes before the start of Advent. These single page sheets can act as a guide to people to reflect on the scripture using the Lectio Divina method. Conscious that Christmas is a time for giving and it is also a time when we make contact with a larger number of people in our parishes the AFD group have put together a simple candle and prayer card. The Candle made especially for the diocese with a religious image and the words “Welcoming Christ into the home this Christmas” can be purchased from the AFD office at a cost of €60 per 100. 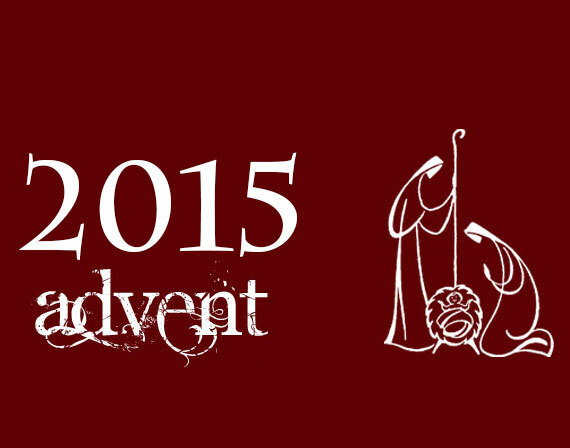 Advent Resources available to download online… For 2014 Adult Faith Development have made available Advent Resources for use in parishes during Advent . Once more we are preparing to welcome back the season of Lent into the life of our parishes. This year we remember that every Lent offers us a precious opportunity to deepen and increase our faith. Lent begins on Ash Wednesday. Lent is our annual retreat when we are each called to prayer, fasting and almsgiving. 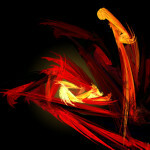 In Lent we have a ready-made programme of renewal – if we just pay attention to its many invitations to us. Advent Thought for the Day Booklet… The Diocesan Faith Development Group intend this little reflection booklet to be a support to people in journeying through Advent and in preparing to celebrate the arrival of our Lord at Christmas. Each day of this journey is marked by a separate page which will help you to reflect on the scripture for that day and to take a few moments in prayer. Sundays of Advent Leaflets … Reflection leaflet on each of the Sundays of Advent. These sheets can act as a support for people to pray with the Sunday’s readings in a Lectio Divina style of reflection. Once again the Adult Faith Development group has prepaed a number of different programmes for use in parishes during Advent. These items are intended as resources for parishes and can be used in a variety of ways: you might decide to gather a group or groups to use them; you might like to try promote them from the church some Sunday and offer them for sale; or you might encourage parents of children preparing to celebrate the sacraments to use them for themselves. Whatever way you use them we hope they are of help to you. Our hope in Faith Development is to afford people an opportunity to reflect on their faith. Advent Resources available to download… For 2013 Adult Faith Development have made available Advent Resources which can be downloaded. Welcome to the latest edition of the Ossory Times and we are delighted that this publication is being so well received in the parishes throughout the diocese. It is wonderful for us in Ossory to have the opportunity to share with each other some of the many great things that are happening throughout our diocese. We hope you enjoy this publication and get a true sense of all that is happening right across our diocese, demonstrating the strong sense of community that exists and the centrality of our Christian faith to our lives. Ossory Adult Faith Development have produced a variety of Prayer Cards as an aid to encourage and support prayer in homes and parishes. Rosary Cards – As an aid to encourage and support the praying of the Rosary in homes, by individuals or even at the time of funerals the Adult Faith Development Group have produced a card outlining the Mysteries of the Rosary appropriate for each day which can act as a simple guide in praying the Rosary. Children’s Prayer Card – Conscious of the next generation of our parishes we have also produced a simply prayer card for children. These cards offer a prayer suitable for children to say and might act as a support for or encouragement to prayer for them. 7 Faith Habits Prayer Card – As an aid to support people and encourage active participation in this year of Faith the Adult Faith Development Group have produced a card with a short prayer for the year of faith and some suggestions for faith activities that could become part of daily life for people. Mass Responses Card – As an aid to encourage people to respond actively and participate during the celebration of Mass the Adult Faith Development Group have produced a new simple mass response leaflet. This card acts simply as an aid to or reminder of the ‘new’ responses at the celebration of the Eucharist. The second edition of the diocesan newsletter ‘Ossory Times’ is on sale throughout all Parishes. The high-quality, magazine publication provides up-to-date news and commentary from across the Diocese and beyond and acts as a valuable resource for exchanging information and ideas throughout the Diocese and its many groups and Parishes. Compiled by a special editorial group, the issue includes a wide collection of news items, articles, reflective pieces and pictures with contributions coming from both clergy and laity. To download: Click on the link (image on left) to start downloading. If you are downloading directly to your iPad it will give you the option to download directly to iBooks. If you are downloading to your computer, you can then transfer the iBook to your iTunes and copy to your device from there. The newsletter magazine is available at all Churches and costs €2. They may also be purchased directly from local Deanery Representatives and the Cathedral Book Shop. Compiled by a special editorial group of Eadaoin Brennan, Kieran O’Shea and Michael Hogan, the Adult Faith Development Group thank all those who have contributed a wide collection of news items, articles, reflective pieces and pictures with contributions coming from both clergy and laity, and are delighted to bring this out as we approach the Easter Season. What better time of the year to hear Good News than in these Easter days… And once again this issue of the Times is packed with Good News stories. Much is happening in our Church in these times with the election of Pope Francis. But thankfully much is also happening around the diocese and these pages are an attempt to capture some of that activity. Whether it is the care in St Columba’s, the cemetery services in Ballyragget, the training of PPCs, the novena in St John’s, the Parish Centre in St Canice’s or any of the others stories in this edition we cant help but be grateful for the life, energy and commitment of so many people in our diocese who continue the work begun on that first Easter morning when the first to see an empty tomb ran to tell others. We too, and those represented by these pages, are simply continuing that task. The Lent Scripture Reflection Booklet, is an opportunity for groups or individuals to come together once a week to reflect on the scriptures. The booklets guide people through a simple method of scripture reflection on the Sunday Gospels of Lent. The cost of each booklet is €3. The Lent CD is once again rooted in the central characteristics of Lectio Divina. Used alone or with a group this CD will act as a guide in reflecting on the Gospels of Lent. There are four tracks for each of Sunday [(1) the reading of the Gospel, 2) A scriptural exegesis, 3) a reflection on what it is saying to us today, 4) a piece of reflective music and a brief meditation]. The cost of the CD is €5. These resources can be used in a group or by individuals. Our hope in faith development is to afford people an opportunity to reflect on their faith. The booklet and CD for Lent Scripture Reflection are now available. To facilitate the Lenten Resources distribution if those interested could contact the Adult Faith Development Office at 056-7753624 or email afd@ossory.ie with the quantities needed. As always it is an extremely useful resource for names and numbers of parishes, groups, committees organisations and so much more in the diocese. The printed version of the Ossory Guide may also be purchased directly from Ossory Adult Faith Development or the Cathedral Book Shop. 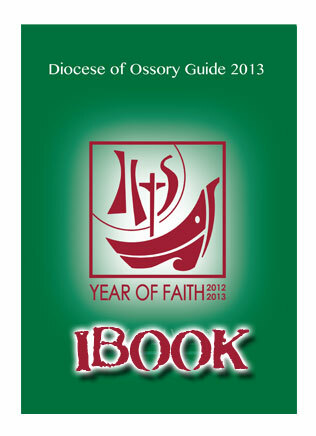 Also this year the Ossory Guide is available in iBook and eBook format, available to download to your mobile devices. Handy for the Guide on the Go! To download: Click on the link (image above for ibook or ebook) to start downloading. If you are downloading directly to your iPad or iPhone, it will give you the option to download directly to iBooks. If you are downloading to your computer, you can then transfer the iBook to your iTunes and copy to your device from there. Advent (from the Latin word adventus, meaning “coming”) is a season of the Christian church, the period of expectant waiting and preparation for the celebration of the Nativity of Jesus, the period immediately before Christmas. 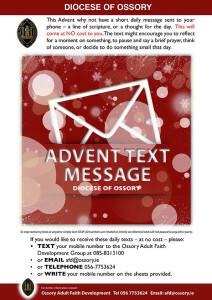 For 2012 Adult Faith Development have made available Advent Resources which can be downloaded. 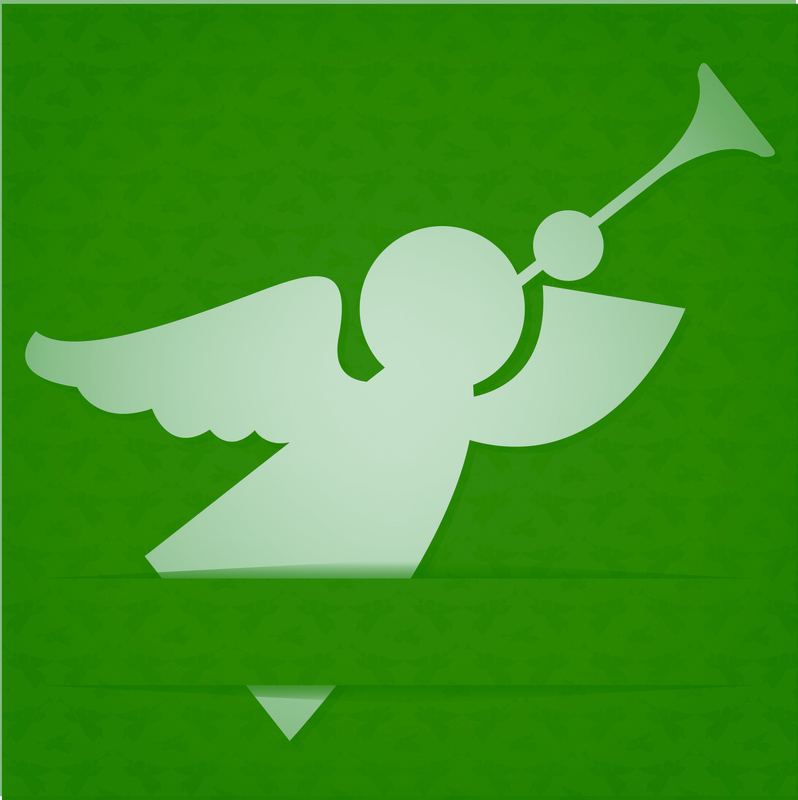 As we celebrate the season of Advent we hope that these resources will serve as useful tools for parishes and people to enter into the spirit of this season. Click on the links below…. The Diocesan Newsletter “Ossory Times” can now be downloaded to your iPad, iPhone or iPod! The Diocese of Ossory has launched its first diocesan newsletter called ‘Ossory Times’ and is on sale throughout all Parishes. The brainchild of the Adult Faith Development Group the 52 page, high-quality, magazine publication will provide up-to-date news and commentary from across the Diocese and beyond and will act as a valuable resource for exchanging information and ideas throughout the Diocese and its many groups and Parishes. Compiled by a special editorial group, the first issue includes a wide collection of news items, articles, reflective pieces and pictures with contributions coming from both clergy and laity. To download: Click on the link (image on left) to start downloading. If you are downloading directly to your iPad or iPhone, it will give you the option to download directly to iBooks. If you are downloading to your computer, you can then transfer the iBook to your iTunes and copy to your device from there. The Diocese of Ossory has launched its first diocesan newsletter called ‘Ossory Times’ and it will be on sale throughout all Parishes this weekend. The brainchild of the Adult Faith Development Group the 52 page, high-quality, magazine publication will provide up-to-date news and commentary from across the Diocese and beyond and will act as a valuable resource for exchanging information and ideas throughout the Diocese and its many groups and Parishes. Compiled by a special editorial group, the first issue includes a wide collection of news items, articles, reflective pieces and pictures with contributions coming from both clergy and laity. Commenting on the new edition, Fr Dermot Ryan, Chairman of the Editorial Board and Director of Adult Faith Developmemnt, said “our first newsletter is really a response to the many vibrant initiatives which are taking place now, both at Diocesan level and within individual Parishes. It is important to share the news of these activities with one another and to have a collective experience of the great energy and passion which are so strong within all our Parish communities. Above all, we are seeking to celebrate the vision and the endeavour of all those who are working to enrich their relationship with God and who are striving to inspire the next generation with the true gift of faith in Jesus Christ”. Another of the editorial group, Eadaoin Brennan, noted, “I believe the newsletter, the first of its kind here in the Diocese, will be very well-received. It’s attractive, it’s colourful and it’s very informative. The diverse content will be of interest to all ages and I hope it will be very enjoyable”. Fr Dermot went on to add “Of course, we are inviting constructive views and suggestions on our first issue and we encourage readers to submit news and pictures of events in their own Parish for the next edition which we hope to publish in February next”. Describing Ossory Times as a very worthwhile project, Bishop of Ossory, Seamus Freeman, SAC, welcomed the first edition and said “it will provide the faithful with a unique insight into the various activities and services provided by the Diocese”. Furthermore he noted “sometimes the people of a diocese can be rather distant from one another especially in the age in which we live, where there is a tremendous emphasis on individualism that is very often at the expense of community. What better way of promoting community and communication than to have this very important instrument of communication at the service of the diocese and available to all parishes and to all the people of the diocese.” “In this Year of Faith which was declared by Pope Benedict, we must do all we can to promote the faith and I would urge everybody to support our new publication”, the Bishop added. The newsletter magazine will be available at all Churches next weekend and will cost €2. They may also be purchased directly from local Deanery Representatives and the Cathedral Book Shop. Once again the Adult Faith Development group has prepared a number of different programmes for use in parishes during Advent. These items are intended as resources for parishes and can be used in a variety of ways: you might decide to gather a group or groups to use them; you might decide to give the scripture CD’s and booklets to your readers or daily mass attenders; you might like to try promote them from the church some Sunday and offer them for sale; or you might encourage parents of children preparing to celebrate the sacraments to use them for themselves. Whatever way you use them we hope they are of help to you. Our hope in faith development is to afford people an opportunity to reflect on their faith. 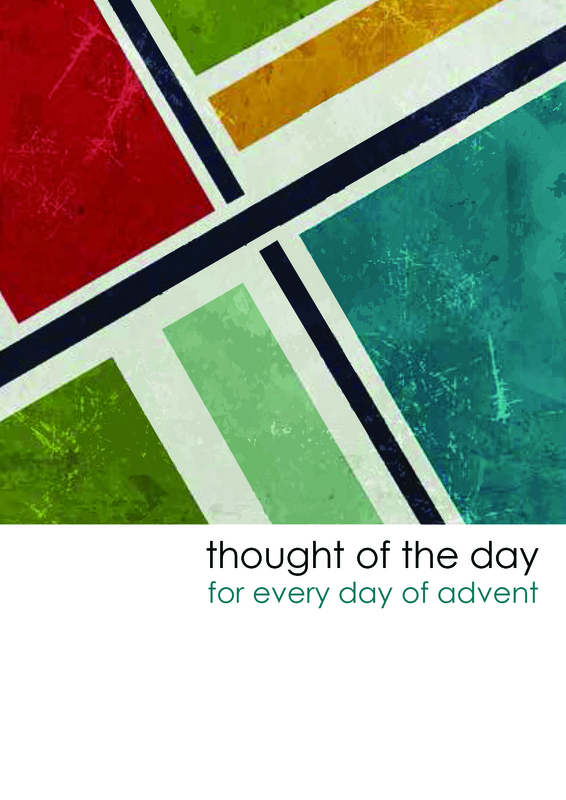 The booklet and CD for Advent 2013 Scripture Reflection are now available from the Adult Faith Development Office. The Advent Scripture Reflection booklet, is an opportunity for groups or individuals to come together once a week to reflect on the scriptures. The booklets guide people through a simple method of scripture reflection and contain the Sunday Gospels of Advent. The cost of each booklet is €3. The Advent CD is based on the central characteristics of Lectio Divina and is an audio version of the Scripture Reflection Booklet. 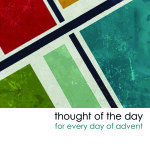 Used alone or with a group this CD will act as a guide in reflecting on the Gospels of Advent. There are four tracks for each of Sunday: 1) the reading of the Gospel, 2) a scriptural exegesis, 3) a reflection on what it is saying to us today, 4) a piece of reflective music and a brief meditation. The cost of each CD is €5. Suggestions and guidelines for the coming year that may be of use in parishes. 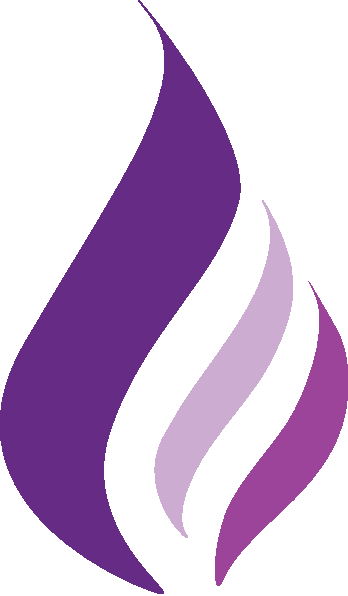 Official Year of Faith Logo is composed of a square, bordered field on which a boat, symbolising the Church, is represented as sailing on a graphically minimal representation of waves. The main mast of the boat is a cross from which sails are displayed in the form of dynamic signs which compose the trigram of Christ (IHS). The background to the sails is a sun which, associated with the trigram, refers also to the Eucharist. Conscious of the now fast approaching International Eucharistic Congress that will take place in Dublin (10th -17th June) and of the centrality of the celebration of the Eucharist to the life of our Church, the Adult Faith Development group has put together a booklet to help explain the celebration of the mass. This booklet is intended as an opportunity to explore some of the central ideas and basic actions that take place during our celebration of the Eucharist. If you would like to order some of these please contact Martina at the Adult Faith Development office, Wednesday – Friday at 056-7753624 or at afd@ossory.ie. The cost of the booklet is €1. Training evenings for those people who will serve in our parishes as Extraordinary Ministers of the Eucharist in the coming years was held recently by the Ossory Adult Faith Development. A great number of people attended throughout the diocese and the evenings were a great success. As part of this training, to all who participated, a small handbook was given outlining some helpful background, explanation and practical guidelines on the role of an Extraordinary Minister of the Eucharist in a parish and copies of a suggested format for Communion with someone who is sick. 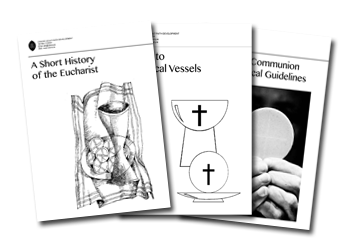 These booklets might also be helpful for those who are already trained and serving as Ministers of the Eucharist in our parishes. If you would like to order some of these please contact Martina at the Adult Faith Development office, Wednesday – Friday at 056-7753624 or at afd@ossory.ie. The cost of the booklet is €1. The booklet and CD for Lent Scripture Reflection are now available. So as to ensure their distribution, to the various parishes, if those interested could contact the Adult Faith Development office 056-7753624 or email afd@ossory.ie with the quantities needed. The Lent Scripture Reflection Booklet, is an opportunity for groups or individuals to come together once a week to reflect on the scriptures. The booklets guide people through a simple method of scripture reflection and contain the Sunday Gospels of Lent. The cost of each booklet is €3. The Lent CD is based on the central characteristics of Lectio Divina. Used alone or with a group this CD will act as a guide in reflecting on the Gospels of Lent. There are four tracks for each of Sunday [(1) the reading of the Gospel, 2) A scriptural exegesis, 3) a reflection on what it is saying to us today, 4) a piece of reflective music and a brief meditation]. It is a double CD set this year and the cost remains at €5. 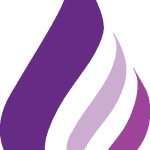 These resources can be used in a group or by individuals, to encourage and to reflect on the scriptures during Lent. During Lent each year the Diocese of Ossory offers a course of preparation for those who are to be commissioned as extraordinary Ministers of the Eucharist. Details have been finalised for this year’s programme of preparation. All those who are to begin as ministers and, if they would like to come along, those who are to be recommissioned, are invited to join us for three evenings of preparation. Please note this year the three training nights would take place consecutively. Enabling people to undertake the course in one week. As always if a particular night does not suit you are most welcome to attend any of the other venues. The evenings are being offered in the three Deaneries and details of times and venues are listed below. Following on from the success of a similar venture at Lent the Adult Faith Development group are once again offering a daily text message. Each day a short text message, of a line of scripture or a thought for the day would be sent to those who have submitted their mobile phone number. This will come at NO cost to the person. The text might encourage them to reflect for a moment on something or to pause and say a brief prayer, think of someone, or decide to do something small that day. It is a way that we can journey together during Advent as we prepare for the arrival of the Infant Lord. 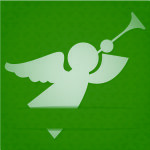 Doing something for Advent supported and encouraged by others. or WRITE their mobile number on the sheets provided. The Adult Faith Development group are providing a series of four talks on the theme of ‘Living the Faith’: Journeying Towards Advent, in two venues, in preparation for Advent. St Kieran’s College was awash with colour and activities on the weekend of the 10th-12th May as the Ossory Adult Faith Development group, hosted its Faith Fest 2013: Celebrating Faith in Ossory in the grounds of the St Kieran’s College. The group undertook the staging of this weekend in response to an invitation by Pope Benedict XVI who asked that Catholics throughout the world would mark this year, (October 2012 – November 2013) as a “Year of Faith”. This festival was held to mark and celebrate the rich heritage of faith and faith activity that has taken place, and continues to take place, in the various parishes of our diocese. Since the diocese was first established people have been coming to pray together and to support each other on the journey of faith and the festival organisers planned that this weekend was to be a celebration of this fact. The weekend began with a concert by Liam Lawton and special guests the Unity Singers on the Friday night in St Mary’s Cathedral. The Cathedral provided a wonderful setting for this evening and over five hundred people were there to enjoy the concert. Then from early Saturday morning through to Sunday evening the grounds of St Kieran’s College was buzzing with activities. Many of the Parishes, Religious Congregations and Organisations in Ossory were represented at over seventy display stands located along the glasshall. And while the packed glasshall hummed with people many others took part in some of the nearly forty workshops, talks and lectures that were offered. Speakers such as John Waters, Julia Kavanagh, Dermot McCarthy, Suzanne Mulligan, Mgr Jim Cassin and a host of others offered insights, guidance and entertaining talks to mainly packed lecture rooms all weekend. The entire weekend was built around families and the on-site catering, activities and games for families, bouncy castles, slides, face painting, clowns for the children all ensured that all who came had an enjoyable day out. The Senior pitch was also full for the weekend as young people were given the opportunity to hurl for the pride of their parishes thanks to a hurling and a camogie blitz for the u8s. Great excitement was ensured by the arrival of many of the county senior players to ref the matches and present the medals. The children were delighted to have the opportunity to show their skills in front of greats such as Tommy Walsh, Jackie Tyrrell, Michael Rice, Lester Ryan, Conor Forgarty, Richie Hogan, and on Sunday Angela Downey was on hand to watch the camogie unfold and to present medals to all who took part. In all nearly 5000 people came through the grounds of the College during the weekend for a festival that was, by any standards, a massive success and a wonderful opportunity for people to celebrate together the rich tradition and future of the diocese. Details have been finalised for this year’s programme of preparation. We would, therefore, like to invite all those from parishes who are to begin as ministers and, if they would like to come along, those who are to be recommissioned, to join for us two evenings of preparation. You will also be invited to attend a workshop “The Eucharist in Scripture” at St Kieran’s College on the weekend of the Diocesan Faith Fest 2013: Celebrating Faith in Ossory. On the weekend of the 10-12th May. This Lent why not have a short daily message sent to your phone – a line of scripture, or a thought for the day. This will come at NO cost to you. The text might encourage you to reflect for a moment on something, to pause and say a brief prayer, think of someone, or decide to do something small that day. This way we can journey together during Lent. Do something forLent supported and encouraged by others. Most of us were baptised Christian when we were just small infants. We have, therefore, no memory of this event. The closest we may have come to it is a family photo, a story told or a robe passed on. Our baptism marked, in earnest, the beginning of our relationship with God. This relationship, like all others, is one that we have to work for it to make any sense. Sometimes, however, doing this can be hard. We don’t know where to start or what benefit it could be. We might not even know the questions to ask. Our last ‘religion class’ might have been when we were in school – a time now also slipping fast into our memory. Conscious then that as a parish we are asking you to hand on the faith to others we would like to offer you the opportunity to find out more about it yourself: What is your faith about? Why do we do it? What if anything can it offer me? What do we actually believe? and so on…. Are you interested in ‘remembering’ your faith? If so why not join us over 8 evenings as we explore these questions together. Join us for these evenings when, in a relaxed environment for just one hour, we will have some input from a speaker and an opportunity to ask questions and explore our faith. This evening will explore the role of the bible in our faith: What is it? How did we get it? Why do we hold it as being so important? How can it, a book from nearly 2000 years ago, have anything to offer me today? etc…. This evening will explore the stages of our faith: As the early Christian community emerged they started to put structures on what they were doing. Today we call these structures sacraments. What are they? Why do we celebrate them? What help are they to me? Are some more important than others? 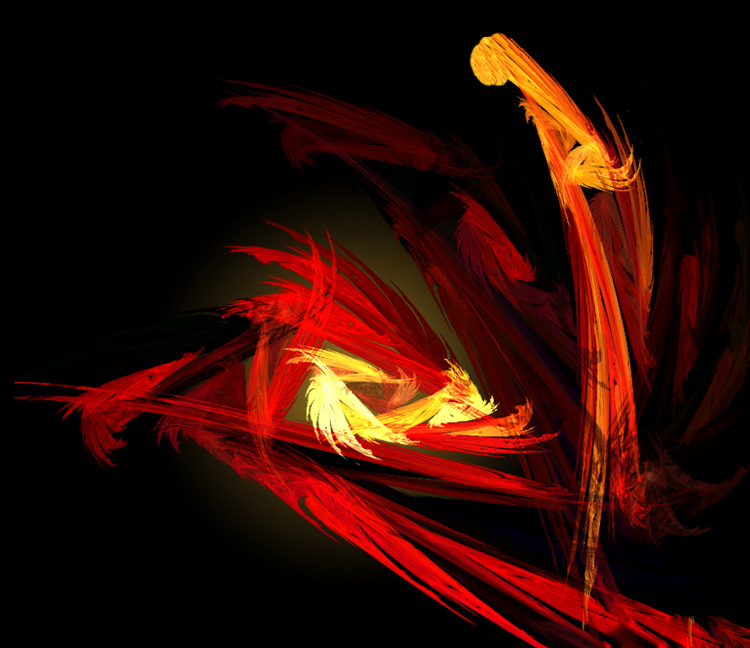 etc…. Why not come along. See, in a friendly and informal setting, what your faith is about and what it might offer you today. Ossory Adult Faith Development now offer an outreach service to Parish Pastoral Councils, both newly elected and those already established, to assist them in achieving their goals for the future. How we plan for the future is important. The project cannot be rushed. If enough time and thought is given, and if there is widespread involvement, then the local Christian community will begin to grow even before the Plan itself takes shape. To commemorate the opening of the Council, the Dioceses of Ossory and Waterford & Lismore are offering an opportunity, over four gatherings, to explore the responsibility we all have within our Church communities. There is a growing awareness today of the need for a great shift in our understanding of who we are as the people of God and how we fulfill our baptismal calling within the Church. This can only be achieved by embracing a path to renewed ownership and enhancing a sense of responsibility, for the life of the church, among every believer. The seeds for this were sown as the early Church emerged and Vatican II, whose anniversary we celebrate, worked hard to bring this to bring this to the fore. Unfortunately, as Pope Benedict XVI recently observed, “the luminous pages which the Council dedicated to the laity [are] not yet sufficiently adapted to, or impressed on, the minds of Catholics or in pastoral procedures”. With the advent of Parish Pastoral Councils and the structured involvement of lay people in the life of the diocese, St Kieran’s College Kilkenny, as part of its mission of education and formation, wishes to offer, on behalf of the Catholic Diocese of Ossory, a programme of education for those involved in parish life. The programme will be offered on the Kilkenny Campus of NUI Maynooth, based at St Kieran’s College. It will continue a tradition of education based on the values of the gospel, of both lay and clerical students, which began in 1782. The Programme will be accredited by St Patrick’s College Maynooth as a Level 7 Certificate in Theological Studies (20 credit ECTS). This course will be of interest to people who are involved in parish life or to those who are involved with the Diocesan Forum. It may also be of interest to those who wish to deepen and enrich their own understanding of their faith and who are prepared to become involved in parish life. To provide general theological education and formation in the main aspects of faith. To provide the theological background needed for lay involvement and leadership roles at parish and diocesan level. Applicants under 23 must have achieved matriculation requirements. Applicants over 23 are asked to submit a short piece of no more than 100 words on why they want to do this course. Final selection will be based on a short interview. Attendance and participation (85% attendance mandatory). Written assignment will be completed at the end of each module. The assignment will be decided by the staff member in charge of the module. Such an assignment could range from an essay, a reflective project or review, the completion of class assignments or a learning journal. 100 hours part-time over one academic year from September 2012 to May 2013. €400 (Parish sponsorship may be available for those who gain a place on the course). SACRED TEXTS! A First Century Message with Twenty First Century Technology. At a time of much debate around the future of the Roman Catholic Church in Ireland one might be forgiven for believing that there is not much good news to be heard. However a closer look at the life of the church in Ossory reveals a very different picture. Through the auspices of the Ossory Adult Faith Development Group the local church is communicating the centuries old message of the gospel in new and exciting ways. In response to an innovative outreach project during Lent almost two thousand people right across the diocese signed up to receive a daily text on their mobile phones. The texts consisted of short biblical reflections accompanied by an invitation to reflect during that day. Geraldine Walsh from Killaloe near Callan, who signed up for the service, said that ‘the text service provided a simple and effective method of prayer during Lent even while on the move.’ and ‘the service gave her the sense of sharing something very special with many other people right across the diocese’. Asked why he thought the text initiative was so successful, the director of Adult Faith Development Fr Dermot Ryan indicated that he believed its success was as a result of it simplicity and accessibility. He noted “already other community groups such as local GAA clubs and indeed our schools are using this technology to great benefit so it is only logical that we should do likewise”. Owena Grimes from Bennettsbridge parish, a teacher in Loreto Secondary School Kilkenny and a member of the Diocesan Pastoral Council remarked that “everyone, young and not so young has access to a mobile phone today and texting is now just part of our lives. People are still very open to receiving the good News of Jesus Christ which continues to offer hope especially in these difficult times”. Bishop Seamus Freeman even got in on the act when he used the diocesan text service to convey Easter Sunday Greetings to the great joy and surprise of many throughout the diocesan community. The text service will continue to operate in the future conveying details of some upcoming events organised by the Faith Development Group and following on the success of the diocesan initiative Ballycallan Parish has now introduced its own text service. Speaking about this new innovation, parishioner and transition year student Nicholas Dunphy said that “many young people had signed up for the parish text service and thought the idea was brilliant keeping them in touch with all the goings on in the parish during the week”. These resources can be used in a group or by individuals, to encourage to reflect on the scriptures during Lent. Today our phones do so much more than simply make calls. We can use them to keep up to date with emails, the Internet, news, and even sport results… Conscious of this the faith development group are offering a Lenten Text Service. Each day a short text message, of a line of scripture or a thought for the day would be sent to those who have submitted their mobile phone number. This will come at NO cost to the person. The text might encourage them to reflect for a moment on something or to pause and say a brief prayer, think of someone, or decide to do something small that day. It is a way that we can journey together during Lent. Doing something for Lent supported and encouraged by others.